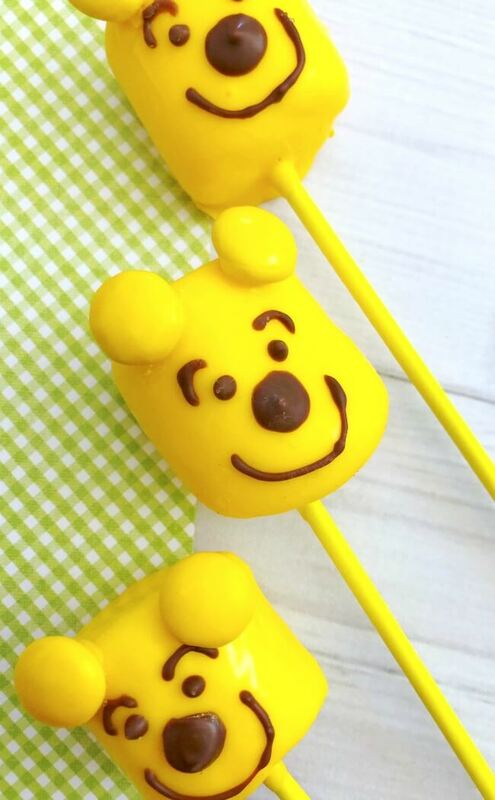 What’s Inside: Cute & easy Winnie-the-Pooh Marshmallow Pops are a fun treat for movie night and birthday parties! 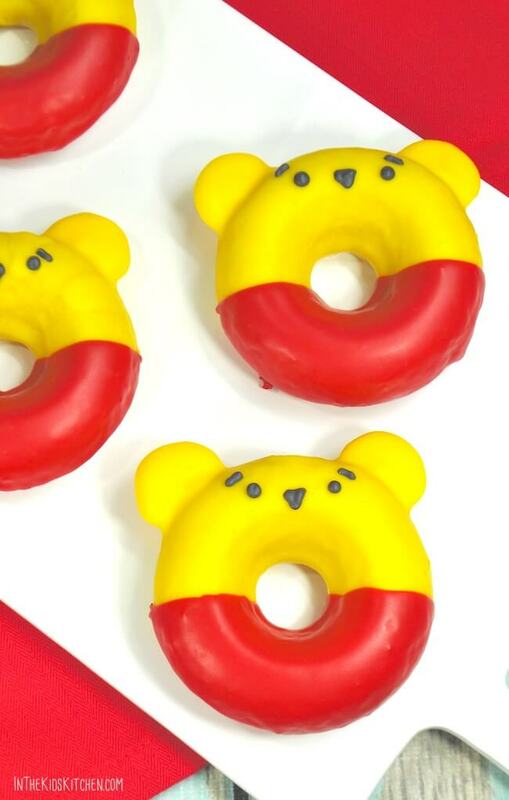 The new Christopher Robin movie is on the way, and to celebrate we’ve been working on lots of Winnie-the-Pooh recipes to bring your way! 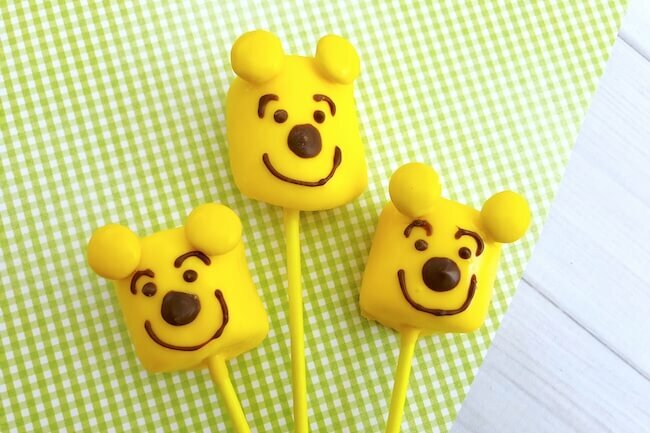 These Winnie-the-Pooh Marshmallow Pops are the easiest one to make — kids will love to dip and decorate them! (Chocolate dipped treats like these Oreo Polar Bear Cookies are one of my girls’ favorite things to make in the kitchen). 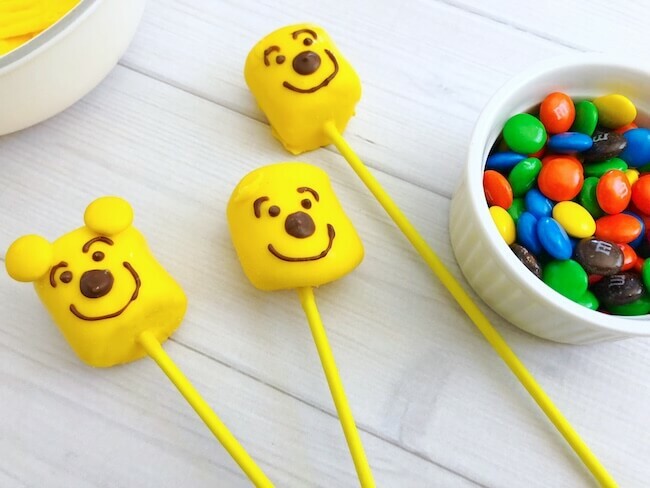 I love the bright yellow color of these Pooh Bear Pops – they’re perfect to make for birthday parties or to celebrate the new movie with Pooh and friends! 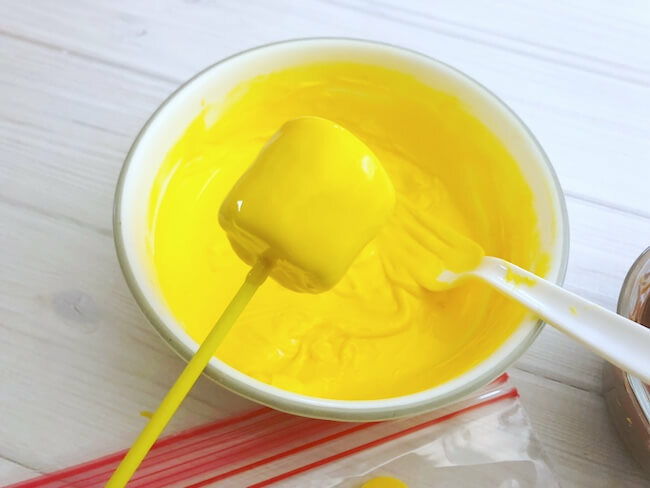 Keep reading for photo step-by-step instructions; a free printable copy of this recipe is available at the bottom of the post. Safety Note: Adults should do all the chocolate melting steps. Handle bowls and melted candy with caution, as they will be hot. 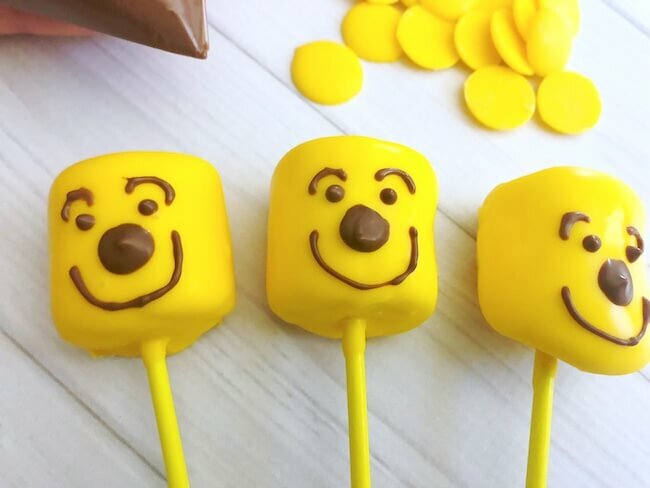 Dip each a lollipop stick into the melted yellow chocolate and press gently into the bottom of a marshmallow. This will help keep the marshmallow secure. 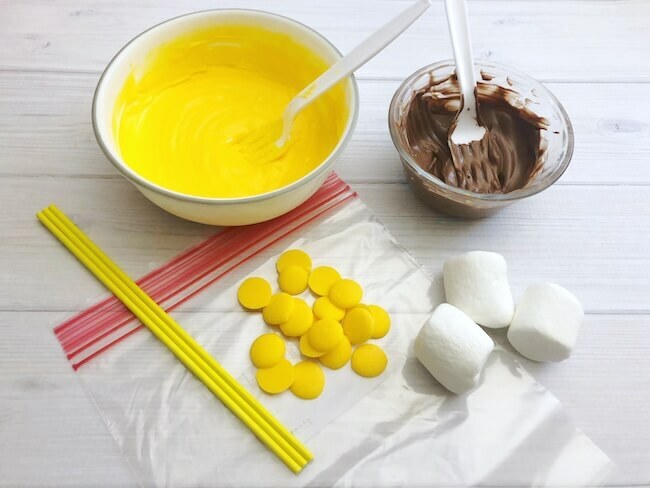 Carefully coat each marshmallow in melted yellow chocolate and place on a piece of parchment paper or non-stick silicone baking mat. Allow to dry. TIP: Transfer to the freezer for 5 minutes to speed up the drying process. In a small microwave safe bowl, heat 1 cup milk chocolate melting wafers on 50% power for 2-3 minutes, stirring every 30 seconds until fully melted. Scoop melted chocolate into a decorating bag and cut the tip off the end of the bag (about the size of a pencil tip). Scoop melted chocolate into a decorating bag and cut the tip off the end of the bag.